A great deal of time, money and interest is being invested into Main Street in an effort to reverse some of the planning errors of the last 30 years. The decision to return vehicle traffic to the street has already brought new business to many long-vacant storefronts and more is expected to come as the project progresses towards Canalside. While securing the funding for the final portions of the project remains the biggest hurdle for the city, I keep wondering if the NFTA missed a major opportunity in recent years when they spent millions on new Metro Rail cars as part of a system-wide update. The new cars came with new technology and an upgraded interior, but the exterior look remained the same as the other dated trains that are used daily. With so much change coming to downtown, particularly along Main Street where new stations will begin to replace the eyesores from the Metro Rail’s original installation, the NFTA will be front and center. As will their rail cars. Perhaps the cost would have been prohibitive – the costs to upgrade cars in the current fleet was upwards of $40 million – but was there any consideration given to obtaining new trains with a more modern look? 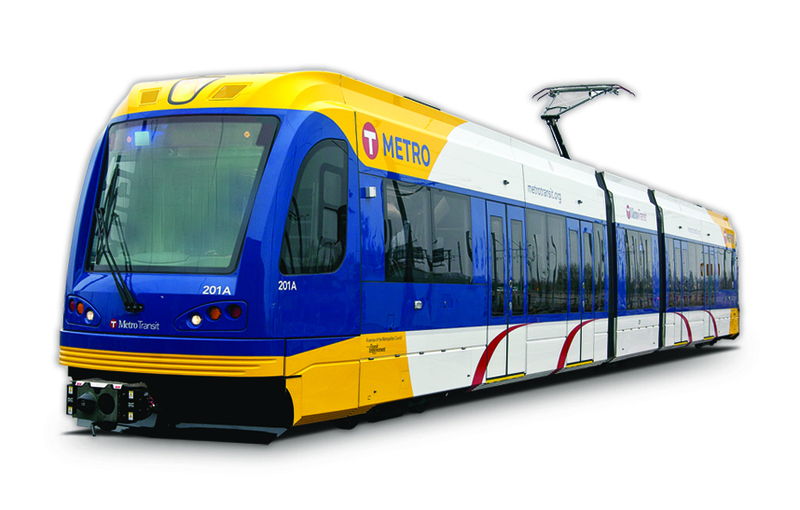 Minneapolis-St. Paul has been implementing a new public transit system using Siemens light rail cars which carry a price tag just north of $3 million per car. So the cost is certainly substantial as the Twin Cities invested nearly $150 million on 41 vehicles. Exactly what the breakdown for Buffalo’s system would be different as the city uses 27 cars in total (per Wikipedia) and the size of each company’s vehicle likely varies. A rough estimate would have put Buffalo on the hook for roughly $90 million – twice what they paid to renovate a portion of their current fleet – if they were to have purchased 27 cars identical to that of the Twin Cities. So the price would have been substantially higher in terms of initial cost, but you could certainly make the argument that the aesthetic and long-term improvement to the line would have been worth the investment. It’s also possible that Buffalo would have needed a different vehicle for our rail line and for all I know that could have been far more expensive. But on the surface an argument could easily have been made for a new fleet. At the end of the day this is little more than window dressing in terms of form and function. However, I could see an upgraded set of trains providing better perception for the entire system; particularly for out-of-town visitors. Buffalo is on the rebound and it’s happening quickly. That rebound has brought investment to numerous corners of the city that aren’t along Main Street. Cranes dotted the skyline this summer, the Medical Campus is thriving and more and more residential projects are popping up downtown. Projects like HarborCenter and Canalside are drawing visitors from outside the 716 area code and while there are many more projects to complete, Buffalo’s profile is certainly on the rise. 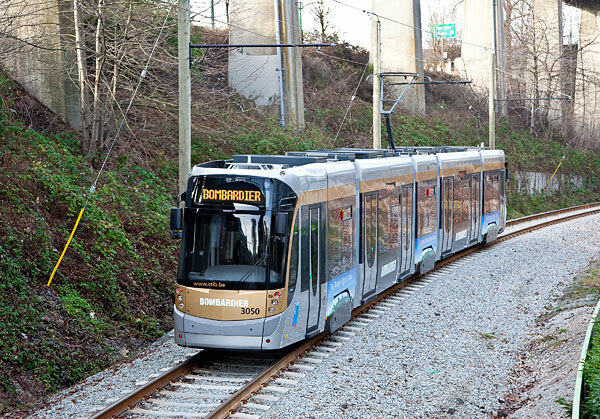 While this may be a relatively small bone to be picking, would the city’s overall perception not be aided with a fleet of attractive rail cars? Vancouver’s Olympic Line and the new system in the Twin Cities feature a very handsome trains that probably differ very little from Buffalo’s on the interior but give off a vibe of a modern city on the outside. I understand that the most pressing need regarding the Metro Rail is the upgrades to the rail bed and stations that is coming with the Cars Sharing Main Street project. The old stations and “art” are ugly, dated and needed to go. Bringing vehicle traffic back to the street is vital and will do wonders to private investment along this spine. There are even conversations about extending the line to the airport or UB North (maybe both?). The powers that be have clearly identified the line as a major player in growing downtown. If it’s going to be a centerpiece, why not make it look like a centerpiece? The opportunity is there; our leaders just need to take the next step.